Cub Scouting is for boys in kindergarten through fifth grade or up to age 11, and the membership of the Order of the Arrow is largely made up of Boy Scouts, all of whom are First Class or higher. It would seem that they have little in common. After all, Cub Scouts can’t become OA members just yet. 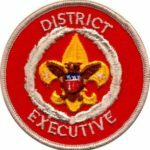 So what does the OA have to do with Cub Scouting? Plenty! Since the Order of the Arrow is all about service, there are lots of opportunities to put that ethic to work for our little brothers in blue and gold. There are benefits for both the Cub Scouts and the OA in doing so. The first time I became aware of the Order of the Arrow was when our pack invited our chapter’s ceremony team (the Ottawa Chapter of Chippewa Lodge #29) to perform the crossover ceremony for our Arrow of Light recipients. I was impressed by the way they conducted the ceremony in Native American regalia. There was an air of mystery and depth of meaning. Everyone was entranced and entertained – not the least of whom were the younger Scouts as they watched the oldest in the pack become Boy Scouts. But the OA’s role in Cub Scouting is more than performing ceremonies. When you think about service to others, there’s a wide array of opportunities – and an equally wide spectrum of effects and benefits for both. As active, experienced campers and outdoorsmen, OA members can share their enthusiasm and knowledge with Cub Scouts by giving presentations at pack meetings, helping with pack campouts and resident camps, and sponsoring special ourdoor day events aimed at helping Cub Scouts and their families become more familiar and comfortable with camping and the outdoors. Arrowmen know not only what to do in the outdoors but what equipment works best. They have their personal gear and know the stuff their patrol uses, so they can help recommend gear and help arrange to let the pack borrow the troop’s equipment. They can help adult leaders as well, many of whom haven’t had much camping experience, by assisting with council training courses such as Basic Adult Leader Outdoor Orientation (BALOO) or Introduction to Outdoor Leader Skills for Webelos Leaders (formerly known as OWL). Being honor campers, Arrowmen can explain Scout camping from a youth perspective to adults new to the concept, or who may only be familiar with camping outside of Scouting. Arrowmen can work with the den leaders in their former packs to help with the outdoor-oriented Adventures. Since camping and the outdoors are an integral part of each rank, having an older Scout help the younger ones learn about the outdoors can be an inspiration for the Cub Scouts and help the den leaders at the same time. 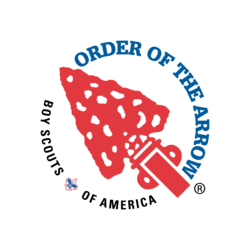 At the district level, the OA chapter can help organize and conduct events at day camps and camporees, taking a load off the adult volunteers. These activities and more benefit Cub Scouting because the younger ones see older Scouts in action and want to be like them someday, encouraging them to continue in Scouting. They learn from someone closer to their own age – they get plenty of adult-led learning in school – and get to experience quality outdoor activities. Arrowmen benefit by serving as leaders and role models, reinforcing their own knowledge by teaching it to others. They can help assure the future of both the OA and Boy Scouting by helping inspire Cub Scouts to continue, because nearly all Boy Scouts were once Cub Scouts. And they get to experience cheerful service by being around those cheerful, enthusiastic, full-of-energy Cubs. If you’re a Cub Scout leader, how do you hook up with the Order of the Arrow? Simple. Get in touch with the chapter adviser for your district’s OA chapter. To find out who that is, check with your unit commissioner, the Scoutmaster of a troop that your pack works with, or your district unit-serving executive. They’ll put you in contact. And if you were a Boy Scout and were inducted into the OA as a youth, you’re still an Arrowman! Once you’ve completed your Ordeal, you’re a member for life, and all that’s needed to reactivate your membership is to be a registered Scout leader and pay your current year’s lodge dues. You’ll then be eligible to wear your lodge flap on your pocket and continue your Obligation of cheerful service in your pack and your community. In the next article in this series, we’ll have more on the adult role in the Order of the Arrow.